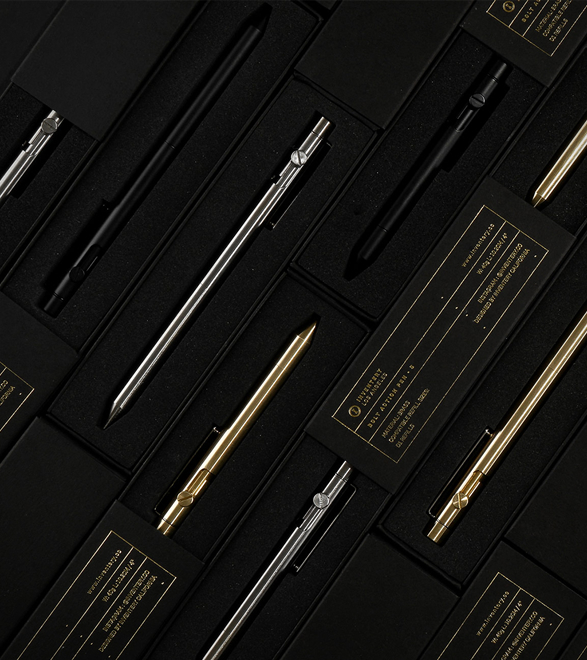 The Inventery Bolt Action Pen is equipped with the well known mechanism that mimics the bolt commonly used on bolt action rifles, this mechanism is precise and reliable hence the reason it is still used nowadays. 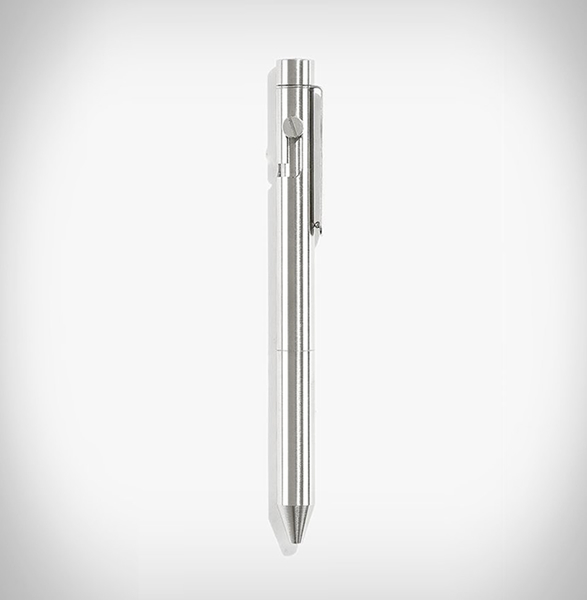 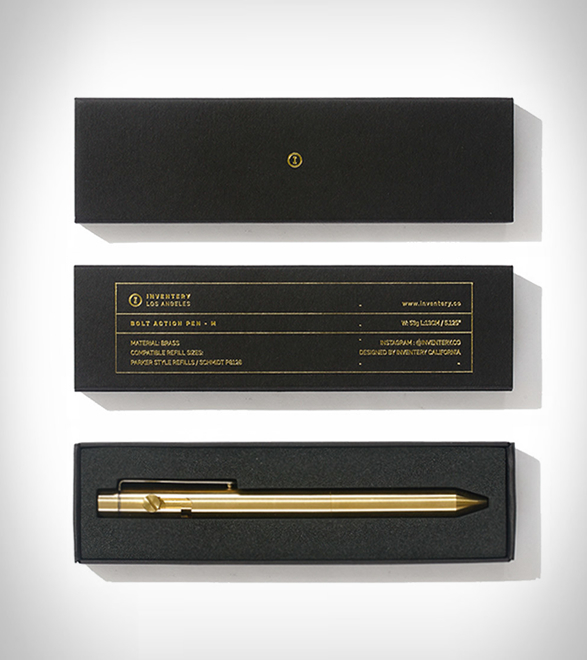 On this particular pen the action is fluid and pleasant with a seamless look once it’s activated. 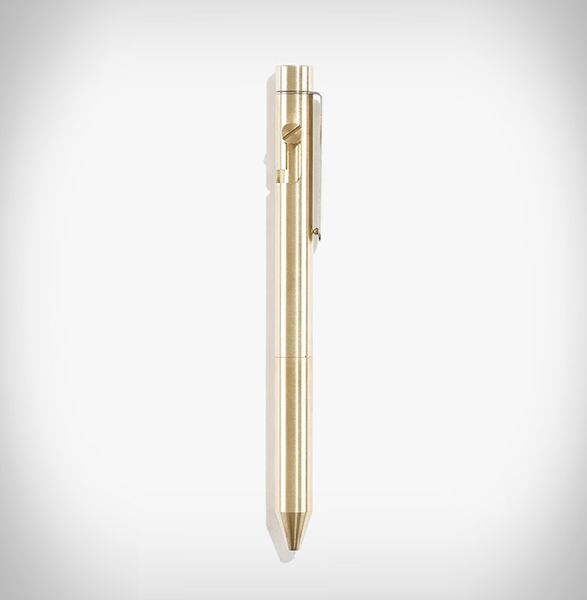 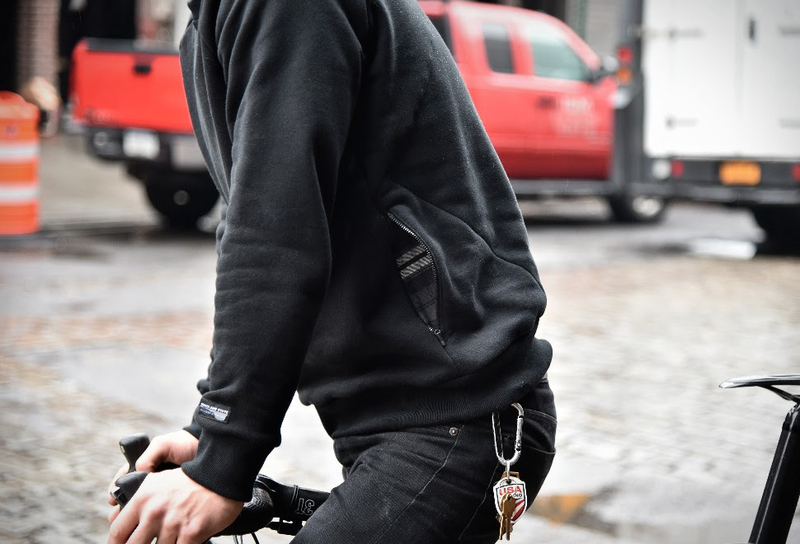 To release it simply use the contrary movement that will quickly return it to its origin spot with a release sound that will provide proof that you’re in the presence of a solid contraption, because, you should bear in mind it’s precision machined from a solid block of raw brass. 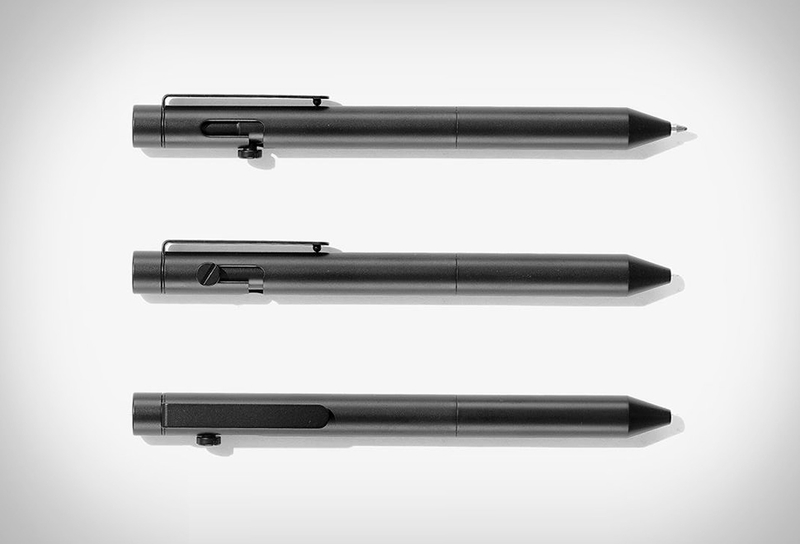 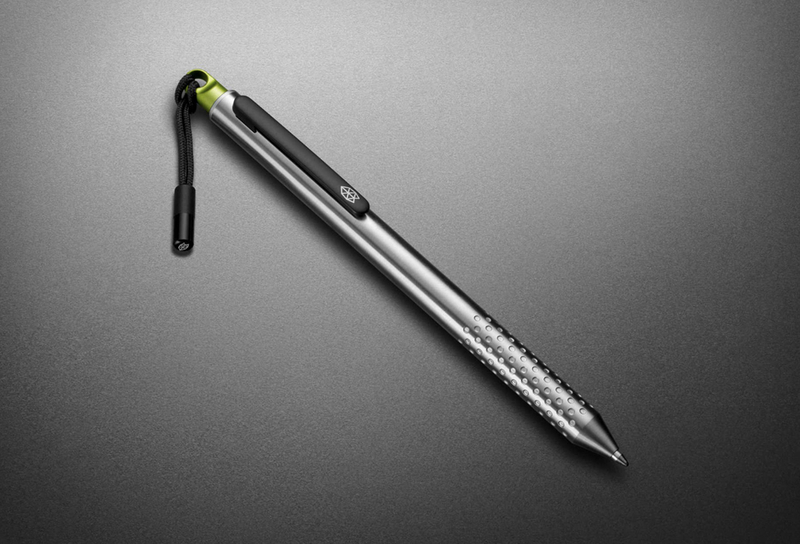 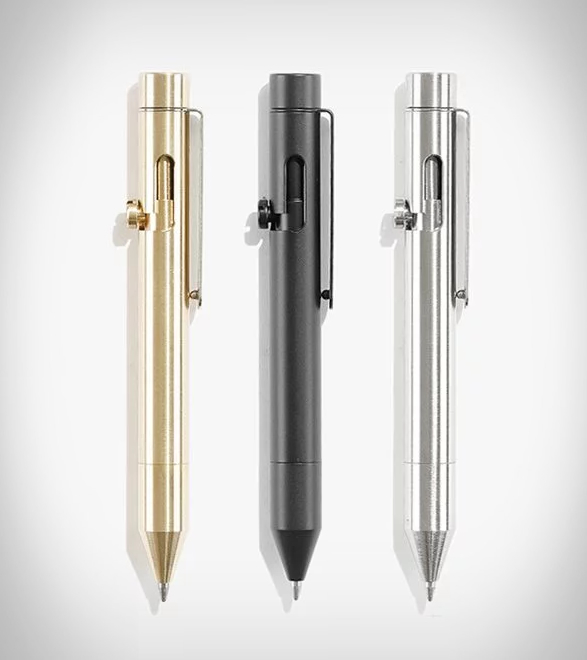 The sleek writing instrument also features a detachable clip and comes in three different sizes and is available in three different colors too.